Question of the month: Does Coca-Cola GB make caffeine-free drinks? I know there are lots of caffeine-free Coca-Cola fans out there – when we recently posted a video on Facebook about the choice of colas we offer lots of you pointed out that it wasn’t mentioned! 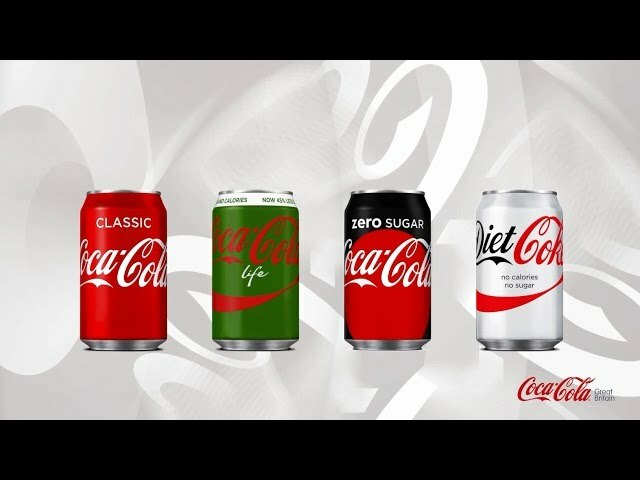 I’m pleased to reassure everyone that while our video just features the four main variants of Coca-Cola, Caffeine Free Diet Coke is still very much part of the Coca-Cola system's family. For those of you who are wondering how to recognise it, Caffeine-Free Diet Coke comes in a gold can. It’s got the light, refreshing taste of Diet Coke, and contains just 1kcal per 330ml. And of course, like our other sparkling drinks including Fanta, Sprite and Lilt, it doesn’t have any caffeine in it. Caffeine is a natural ingredient: you’ll find it in tea leaves, coffee beans and cocoa beans. It can also be made in a laboratory. There are two reasons for adding it to sparkling drinks. The first is flavour – caffeine is slightly bitter and complements sweet tastes so we use it in Coca-Cola. The second reason is that caffeine aids alertness. That’s why you’ll find it in energy drinks. You might think that Coca-Cola contains a lot of caffeine, but actually there’s less than in the equivalent serving of coffee or tea. Coca-Cola Classic contains just 32mg of caffeine in a 330ml can. That’s much less than a mug of filter coffee, which has 140mg. It’s also less than a cup of tea, which has 50mg – or even a bar of plain chocolate, which also has around 50mg. Give our Coca-Cola caffeine counter a go! The European Commission and the UK Food Standards Agency say that it’s fine to enjoy drinks with caffeine in moderation. Moderate consumption is around 300mg a day and isn’t associated with any ill effects – although it might have a slight diuretic effect if you’re not used to it. But if you’re pregnant, you might want to moderate how much caffeine you drink – the Food Standards Agency of Great Britain advises not having more than 200mg a day, but always consult your GP. And of course, some people just prefer to enjoy their Coke without any caffeine in it. That’s where caffeine free Diet Coke comes in. Fiona Angus is the Science Regulatory Affairs Senior Manager at Coca-Cola Great Britain. She is a registered nutritionist (RNutr), with over 25 years of food industry experience. Question of the month: What’s the difference between Diet Coke and Coca-Cola Zero Sugar?